Storey & Gough pride itself on being there for our clients in times of need whether it be the death of a loved one or ensuring that the appropriate measures are in place for our clients should their health deteriorate. Storey & Gough offer a wide range of services relating to Estate Planning, preparation of Wills and acting for Estates in obtaining Grants of Probate or Letters of Administration. We also involve assist our clients in the preparation of Powers of Attorneys and Deeds of Guardianship at reasonable costs. The firm has been involved in a large number of disputes and claims involving Estates both for and on behalf of the Estate and for and on behalf of beneficiaries. Dispute resolution is an important factor in such disputes and the firm has great success in resolving disputes without the necessity of litigation being undertaken. The requirements for a valid will depends from state to state however since the introduction of the Succession Act 2006, there has been a movement for the uniform application of the rules relating to wills. Commonly, the will must be in writing, signed by the person who has made the will (“the testator”) and must be witnessed usually by two persons who must witness it at the same time. The testator must have attained the age of majority and be of “sound mind” at the time the will is signed. A married minor is usually able to sign a will. 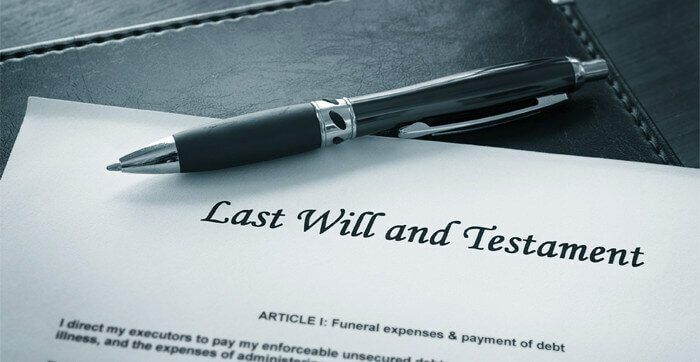 The witnesses to a will must not be beneficiaries or spouses of a beneficiary of the will and must also be competent persons (and also of sound mind). Everybody will die at some time and generally speaking, possesses property, even if the property is not worth a great deal in monetary terms it is often worth something in a sentimental way. We would suggest that almost everybody under state law needs a will so that it is clear as to what happens to the property in the estate of the person who dies. If someone dies without a will, there are state laws which attempt to distribute the property in a fair way amongst members of the family. If however, someone leaves behind a dear friend, there is no provision in the state law for that person to inherit under the act, unless there is a valid will. Each state has laws that apply to people who die without a will. This is commonly referred to as dying intestate. There are specific formulas as to how the property is divided. Generally speaking, the spouse and children of the deceased will take the property. If there is no spouse and no children, then the testators parents will take the property, siblings, grandparents and children of the grandparents and if no relations are found, then the property will eventually after the long chain of relatives are reviewed, go to the state. A person should make a will immediately because no one really can foretell the future. It is our strong recommendation that everybody review their financial and property affairs and part of that process should be to review their wills. Life events change such as becoming married, having children, divorcing, inheriting substantial monies or winning lotto (if only). It is these types of circumstances that should be reviewed regularly (at least every 5 years) to ensure that a will is catered for and your affairs are in order. Storey & Gough can assist you in helping you to sort out your affairs.